(note that new button for Post-Award has been added, because the Post-Award working committee has requested for your input now). The Research Integrity and Compliance working group has requested for our summary by next Monday, October 15. After that, they will share that with you on October 16, so you can continue to provide feedback after. Description: Mary-Rolfe Zeller, Outreach and Selection Coordinator at Institute of International Education (IIE) will give a presentation to CCAS faculty interested in learning more about Fulbright. 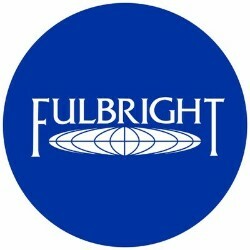 This presentation will give an overview of the history of the Fulbright Scholar Program, take a deep dive into the Fulbright U.S. Scholar Program opportunities (including learning how to navigate the Catalog of Awards and how to apply), and conclude with a brief overview of the Fulbright Visiting Scholar opportunities.IIE has been a world leader in international education working to build more peaceful and equitable societies by advancing scholarship, building economies and promoting access to opportunity. Description: Mary-Rolfe Zeller, Outreach and Selection Coordinator at Institute of International Education (IIE) gave a presentation to CCAS faculty interested in learning more about Fulbright. This presentation gave an overview of the history of the Fulbright Scholar Program, took a deep dive into the Fulbright U.S. Scholar Program opportunities (including learning how to navigate the Catalog of Awards and how to apply), and concluded with a brief overview of the Fulbright Visiting Scholar opportunities.